This week, more than 2.2 billion people around the world will come together to remember the single most important event in human history. It is an event, the beginning of which, an additional 2 billion Muslims also believe happened, and concludes with a miracle rejected by many, but the consequences of which altered the course of history. Muslims, Christians, and, for that matter, even a lot of atheists, Jews, Hindus, and others recognize that a man named Jesus was nailed to a cross and crucified in Jerusalem almost two thousand years ago on the first Good Friday. No serious historian rejects the idea. The historic record has more evidence for both Christ’s existence and crucifixion than for many Roman Emperors. Christians, of course, believe that Jesus rose again from the dead on Easter Sunday. It is a dividing line for many. To accept the resurrection as fact is to accept Jesus as God. One cannot be a Christian without accepting the physical resurrection of Jesus from the grave. While many reject the facts of the resurrection, the consequences of belief in the resurrection make Easter the most important event in human history. With the apostles themselves the gospel message began to spread. Paul shared it with the gentiles. Philip went into North Africa. Matthew and Bartholomew headed into Africa where remnants of their churches are now being eradicated by extremists. Andrew went north to the Caucuses and to what is now Russia. Thomas headed east to India, where some of the earliest Christian churches remain on the western coast of the Indian sub-continent. All of the apostles except John were executed. Polycarp and Ignatius, two of the early church fathers, studied under John and vouched for his authenticity and ministry. Clement worked with Peter and Paul, producing his own writings. Irenaeus learned from Polycarp and Ignatius. All of these men became men of ideas and prayer as the Romans sought to stamp out Christianity. But the faith spread still further. Christianity transcended race, ethnicity, income, and gender. 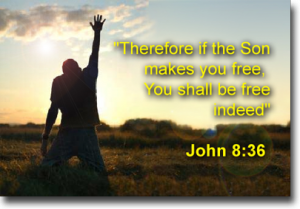 It was an accessible religion to both free men and slaves and taught that all were equal, all were sinners, and all needed Jesus, who provided a free gift of everlasting life to any who accepted him as their Lord and Savior. That is why so many totalitarians ruthlessly tried to exterminate it. The Romans threw Christians to lions and used their bodies as torches to light the streets of Rome. The Soviets sent priest to Siberia to never be heard from again. The Chinese have bulldozed churches and the North Koreans rounded up priests and shot them. Now in the West, including here in the United States, secularists demand that Christian religious organizations hire those who do not share their faith or be censored. The hostility to the great equalizer of the gospel takes different forms, but it all involves a rejection of the resurrection and sin. The truth is that too many people have to be written out of history to reject the authenticity of the resurrection. Polycarp, Clement, and Ignatius must go because they knew the eyewitnesses to the resurrection. The Apostles who we know were real must go. Christ himself must go and therein exists the most amazing thing. For two thousand years many have dedicated themselves to Jesus’s eradication from history. They keep failing. Two thousand years ago, the Word became flesh and died on a cross only to conquer death. One is free to not believe it, but none of us can avoid the historic consequences of it. Even now an empty tomb and a resurrected God made flesh shape our history and destiny.